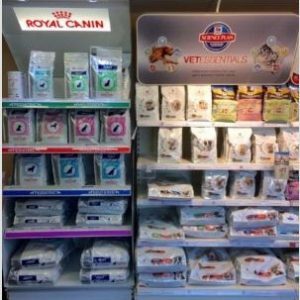 Home » Uncategorized » Now stocking Royal Canin..
We are pleased to announce that we are now stocking Royal Canin Canine Junior and Neutered range. For this week only, until 3rd November we are offering a fabulous 25% off promotion on this range. Our decision to stock Royal Canin food to complement our existing range of Hill’s diets, is based upon a decision to offer our customers more choice, but to ensure that we are only recommending the highest quality nutrition for pets. We fully believe in the importance of nutrition to achieve optimal health and prevention of disease, and we will only ever recommend diets that we feed to our own pets. We are always happy to answer any questions that you might have on nutrition for your pet, and we will help you make the big decision on what diet is best for YOUR pet.